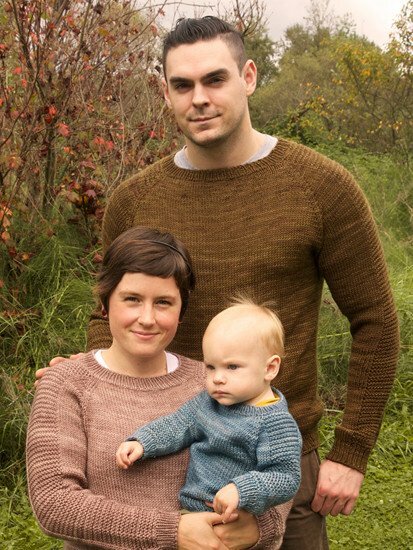 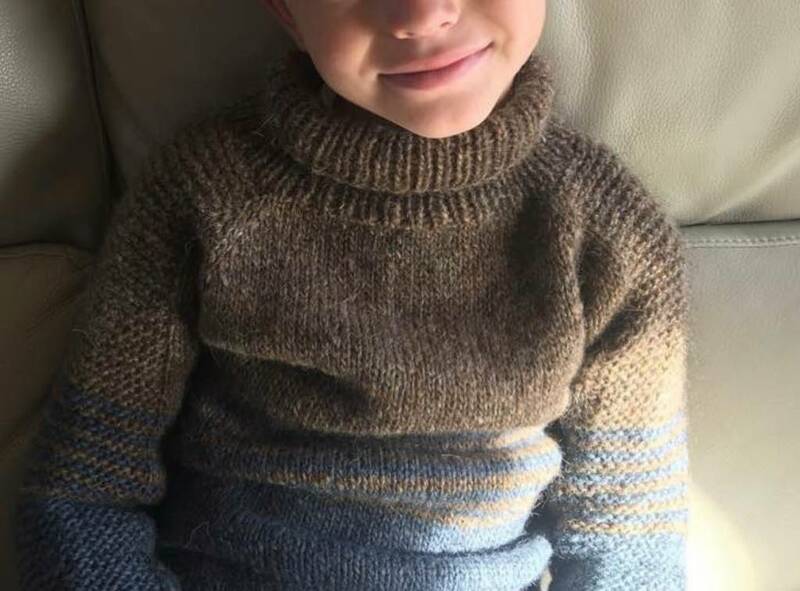 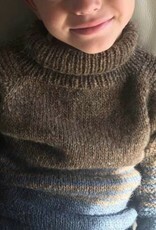 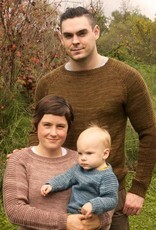 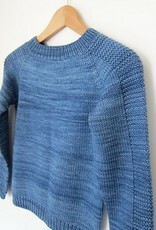 The Flax pullover is knit seamlessly, in the round, from the top down. 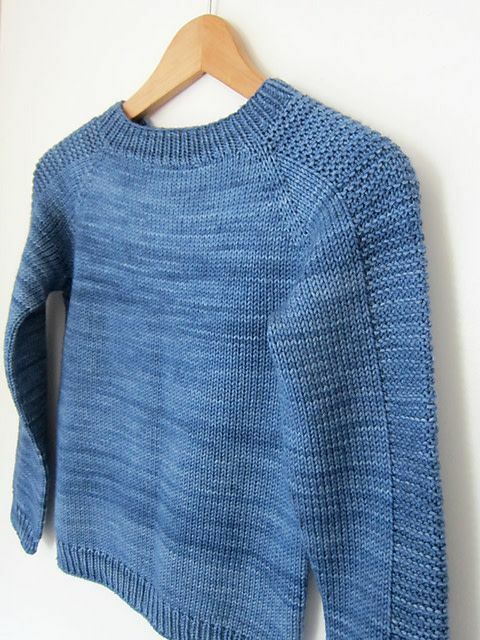 Starting with the ribbed collar, you progress to work the yoke in rounds, with increases at 4 'raglan' lines. 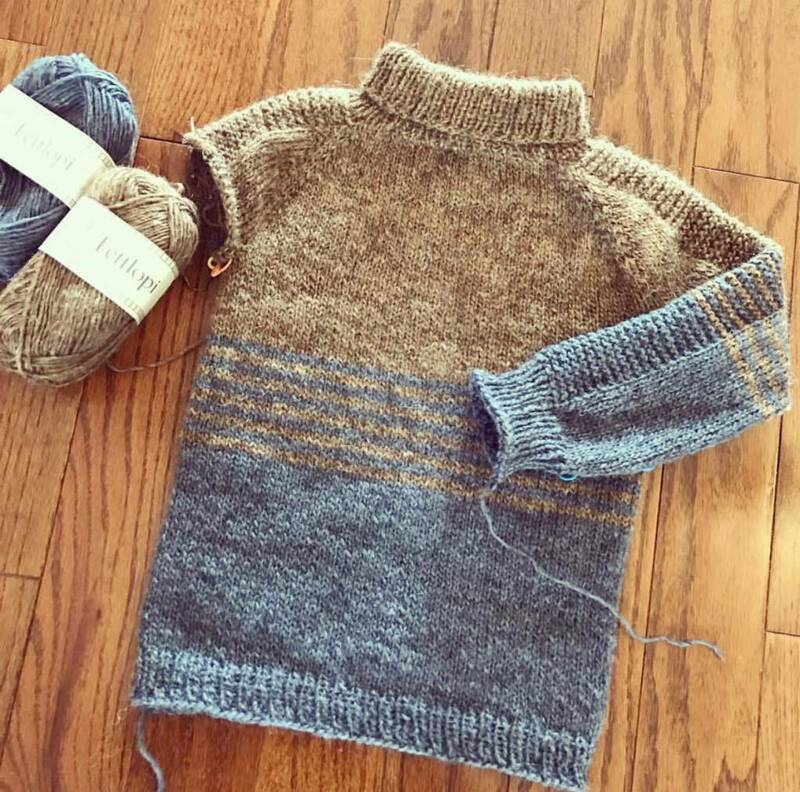 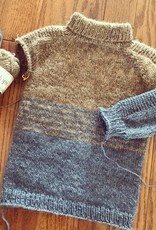 The body and sleeves are separated, and then body and sleeves are knit in the round from underarm to hem and cuffs.